This post summarizes four classic publications about problem-solving negotiation. Everyone in our field knows about Getting to Yes: Negotiating Agreement Without Giving In, first published in 1981. A best-selling book that is widely used in DR courses, it popularized interest-based negotiation using ideas from Walton & McKersie’s A Behavioral Theory of Labor Negotiations, among others. Getting to Yes begins by summarizing problems with positional negotiation including that it is inefficient, endangers ongoing relationships, and produces unwise agreements. Instead, GTYadvocates a negotiation method in which negotiators (1) separate the people from the problem, (2) focus on interests, not positions, (3) invent options for mutual gain, and (4) insist on using objective criteria. It encourages negotiators to deal with more powerful parties by developing and improving one’s best alternative to a negotiated agreement (BATNA), use “negotiation jujitsu,” and deal with dirty tricks by negotiating about the process. The second edition includes an appendix with answers to ten questions about fairness, whether positional bargaining ever makes sense; what if the people are the problem; when it makes sense not to negotiate; whether to make adjustments based on personality, gender, and culture; using negotiation tactics; moving from inventing options to making commitments; trying ideas while minimizing risk; and negotiating with more powerful parties. The third edition, published in 2011, includes a brief discussion of how negotiators should communicate, which Noam Ebner wanted to highlight. The book generally recommends negotiation in person, citing a study in which negotiators were more honest in person than in phone or written communication. Even so, it states that negotiation by phone enables people to pay closer attention and ask tougher questions, and that email enables people to reflect and make stronger arguments. In 1984, Carrie Menkel-Meadow wrote Toward Another View of Legal Negotiation: The Structure of Problem Solving, 31 UCLA L. Rev. 754, which provides an in-depth analysis of interest-based negotiation, also known as problem-solving negotiation. It begins by identifying criteria for evaluating approaches to negotiation including whether: (1) the solution reflects the client’s full set of “real” needs, goals, and objectives, (2) it reflects the other party’s full set of “real” needs, goals, and objectives, (3) it promotes the client’s desired relationship with the other party, (4) the parties have explored all possible positive-sum solutions, (5) the transaction costs are as low as possible relative to the desirability of the result, (6) the solution is practically achievable and the parties are committed to it, (7) the process is consistent with the client’s desire to participate in and affect the negotiation, and (8) the solution is fair or just. There are three major parts of this article. The first part analyzes the assumptions of the traditional model of adversarial negotiation, the second part describes a need-based model of problem solving, and the third part discusses the limits of a problem-solving model in a competitive world. It is generally quite consistent with the ideas in Getting to Yes but provides a more thorough analysis of the underlying assumptions of adversarial and problem-solving negotiation models. The model of problem-solving negotiation is based on a theory of meeting varied and complementary needs of parties. Problem solving works by identifying the parties’ underlying needs, creating solutions that meet the parties’ needs, expanding the resources available, and producing just or fair solutions. The process requires careful planning and execution. The final part considers critiques of problem solving relating to inequality of parties, power differentials, need for definitive rulings and punishment, and the personality of negotiators. It concludes that these concerns need not preclude appropriate use of a problem-solving approach. In 1999, Douglas Stone, Bruce Patton, and Sheila Heen published Difficult Conversations: How to Discuss What Matters Most, which has a similar structure and tone as Getting to Yes. It provides clear and concise advice and it has a “road map” at the end with a summary you can absorb in a few minutes. It begins by noting that often it is tempting to avoid troubling situations with other people but that may not solve the problems and it may actually aggravate them. When people are having difficult conversations, there actually may be three separate conversations, about (1) what happened, (2) feelings, and (3) identity. Difficult Conversations recommends taking a “learning stance” instead of arguing about who is right. Recognizing that people see the world differently, we should move from certainty to curiosity. We should “disentangle intent from impact” of statements and actions, and shift from talking about “blame” to “contribution” to the problems. It advises that we should recognize our feelings and others’ feelings and discuss them carefully. And we should recognize that difficult conversations often threaten our identities about whether we are competent, good, and worthy of love. Given all these elements, we should have “learning conversations,” beginning with the “third story” that combines the perspectives of both people. Robert H. Mnookin, Scott R. Peppet, and Andrew S. Tulumello published Beyond Winning: Negotiating to Create Value in Deals and Disputes in 2000. It advances the discussion of problem-solving negotiation by presenting a framework of three tensions in negotiation, between (1) creating and distributing value, (2) empathy and assertiveness, and (3) principals and agents. Negotiators can manage these tensions but they cannot make them disappear. 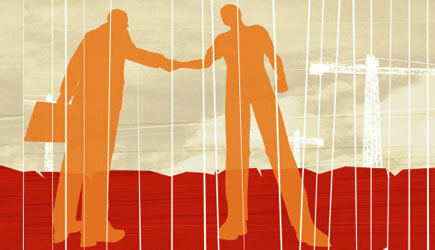 Beyond Winning offers advice to manage the tensions most effectively. BW includes several chapters analyzing the challenges in deal-making and dispute resolution, including various psychological and cultural barriers to successful negotiation. The book focuses particularly on legal disputes where parties are represented by lawyers. Adding lawyers to a dispute between two parties adds seven relationships between the lawyers and parties on both sides. Thus BW highlights the importance of developing constructive relationships “behind the table” between lawyers and clients and “across the table” with the other side. The book concludes with chapters discussing professional and ethical dilemmas and negotiations involving organizations and multiple parties. I have a warm spot in my heart for BW. I think it is especially appropriate for law school courses because it seriously addresses the relationships between lawyers and clients and between counterpart lawyers, which often are overlooked, even in many negotiation courses. Based on my analysis of collaborative and cooperative law and interviews with lawyers and mediators, I reached many of the same conclusions in my book, Lawyering with Planned Early Negotiation: How You Can Get Good Results for Clients and Make Money.